Cafe Costes is a smart cafe in Paris. Philippe Starck designed this outstanding chair for the Cafe in 1982. 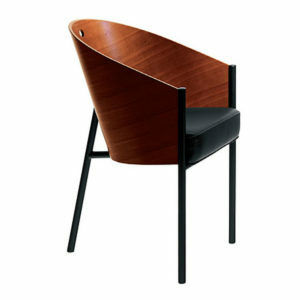 The Costes chair has become a symbol of Starck’s much publicised style: simple, elegant and functional. 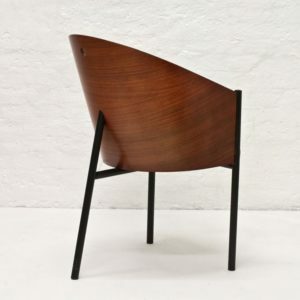 Costes chair, design by Philippe Starck, start to be mass-product from 1985 by Driade, an italian company, with black painted tubular steel structure and curved plywood shell. The timeless appeal of the Costes chair is confirmed by its popularity even today, over 26 years since it was first placed on the market. 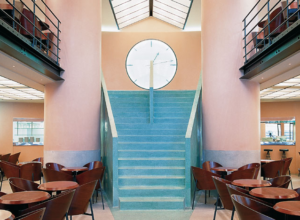 In 1982, the Cafe Costes was a smart new cafe in Paris. 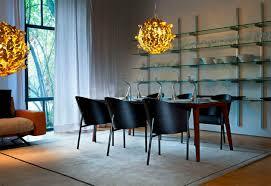 Philippe Starck was its interior designer and designed this chair especially for it. 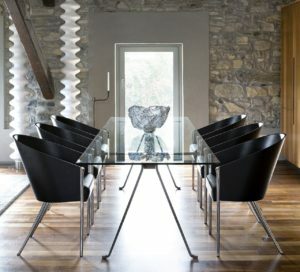 The Costes chair became a symbol of Starck’s much publicised style – simple elegant and functional. 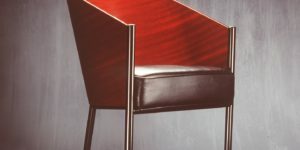 Starck began his career as a designer working with Piere Cardin and then established his reputation with furnitue designs for President Mitterand’s Elysee Palace apartment. Now an International figure, Starck has designed everything from furniture, consumer items including the famous Juicy Salif citrus squeezer (Alessi, 1990), interiors and exteriors including hotels, museums and luxury yachts. In the 80’s, Driade takes an international turn toward a multiplication of languages. This is Philippe Starck‘s story, who in 1984 with the Costes armchair embarked on a personal research in the realm of shape that Driade is still pursuing ranging from high-quality and handcrafted upholstery products, chairs and tables in rotational and injection mould techniques plastic, the chairs in carbon fiber and many of other materials for myriad other types. With Starck they were soon to come Tusquets, Clotet, Littmann, Ron Arad, Sipek, Toyo Ito, Chipperfield, Sejima, Pawson, Bellini who together with Mari and Antonia Astori gave life to Driade history, a kaleidoscope of languages that reflects the complexity of developing trends in the world of design. 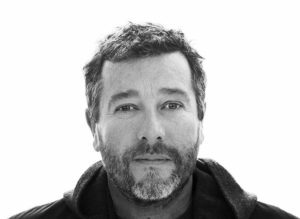 Born in 1949, Paris, Philippe Starck, kick-started his career by designing a pair of nightclub interiors in Paris in the 1970s, a time when using Lucite (clear plastic) as a material for furniture and décor was all the rage. The Frenchman has since become one of the world’s most acclaimed designers, known for his subversive and cheeky approach to design. From transparent furniture to sculptural lemon squeezers, his designs have changed the way we live with their stylised, organic look often constructed using unusual and innovative combinations of materials. Materials: Black painted tubular steel structure and curved plywood mahogany, ebonized mahogany, grey oak, striped wenge or bamboo finished shell. Polyurethane foams padded seat with black or light colored leather fixed cover.